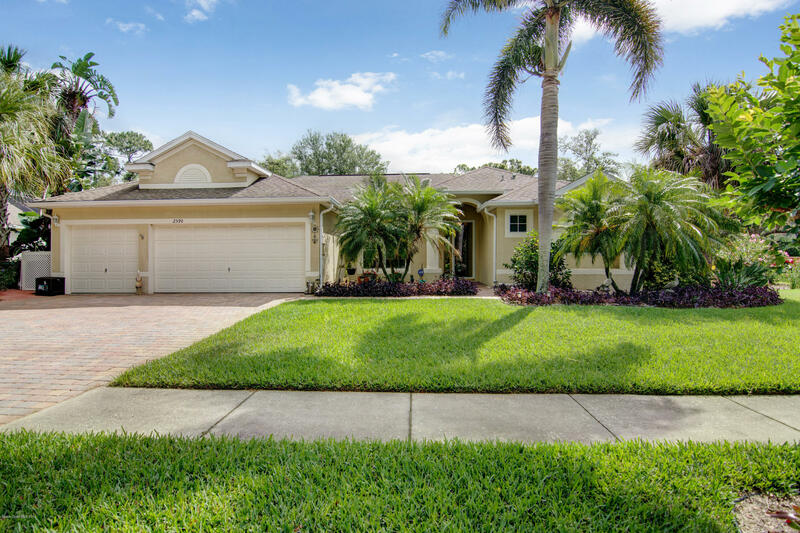 Located on a tree lined street in the gated Villlage Woods Community of La Cita, this Spotless & Beautifully maintained 4/3/3 home is on a large corner lot w/Lake Views. Start your day with coffee & watch the sun rise on your screened wrap around porch w/views of a pond full of birds. Cook breakfast in this chef's dream kitchen w/plenty of granite counter-top work space, center island, pantry, breakfast bar, & new stainless appliances. Three sets of dbl pane French doors let in the breeze & give plenty of light. Poured concrete walls & a film on the windows gives UV protection & hurricane protection w/ solar shades on all windows. Baths have vessel sinks, 2 instant under sink water heaters, new A/C in 2019 w/3 zones, security system & tile & laminate floors throughout this lovely home.